Our social network has made this world much bigger than ever. We share knowledge, stories and news through all types of social channels. We feel like we are able to keep track of each and every detail about this world and to “know” everyone in social media by just browsing the net; yet we seem to forget the intent of these online socializing apps – to connect people who might never be able to do so prior to the era of online social networking. And online socializing is often misunderstood by many: the ultimate purpose of online socializing is not to connect virtual people, but to connect people offline – achieving the transition of digital relationship into real-life connections. Your social capacity is never how well you handle the cyber world, but how much you can explore beyond your current reaches. Loop is probably the best messenger for groups – uncluttered and classy. It’s where you have your substantial conversation (vs. casual random chats that also disappears) with your groups. It is great for organizing group dinners, fraternity / sorority events, and study groups. Meeting new people can be tough. Standing out in a crowd? Even tougher. Thankfully, DoubleDouble lets you easily do both. Skip the awkwardness of new conversations by teaming up with a friend before being matched with other Doubles nearby! Chat as a group or start a private conversation by messaging other users directly. Help your friends get noticed faster through Recommendations or match other users to build up your own rep - DoubleDouble makes it easy to discover new ways to explore your social scene. Nextdoor is the private social network where neighbors work together to build stronger, safer, happier communities, all over the world. It allows communities to easily create private websites to facilitate communication among neighbors and build stronger neighborhoods. 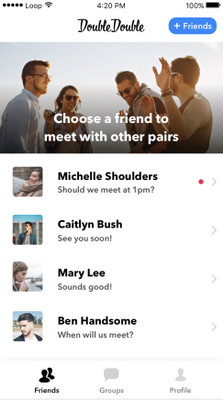 Bumble is at the forefront of matchmaking technology by providing an app that allows users to foster more than just romantic connections. Bumble is working to lift the stigma of online dating by employing unprecedented standards for respectful behavior. Because of this relentless dedication, millions of people are using Bumble to build valuable relationships every single day. 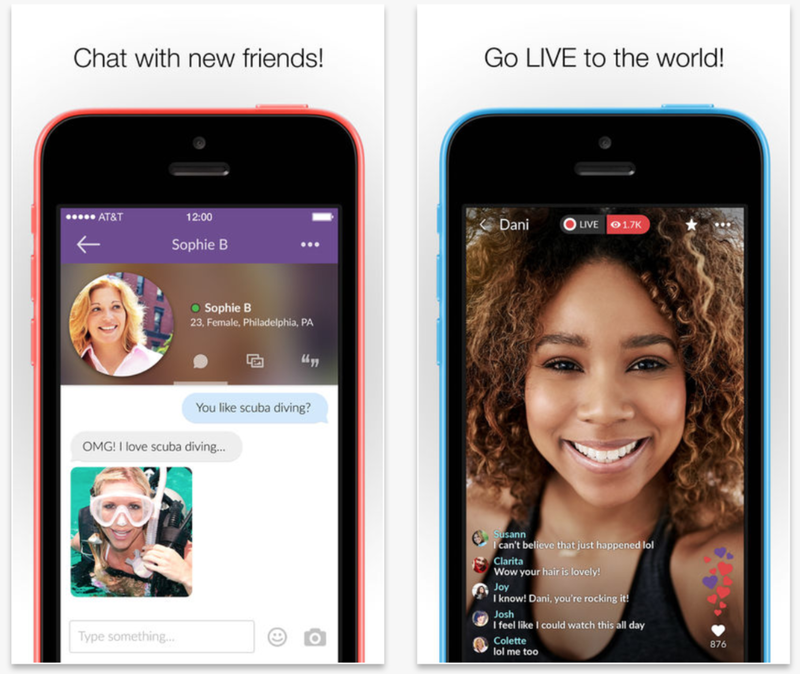 MeetMe helps users find new people nearby who have shared interests and want to live-chat.